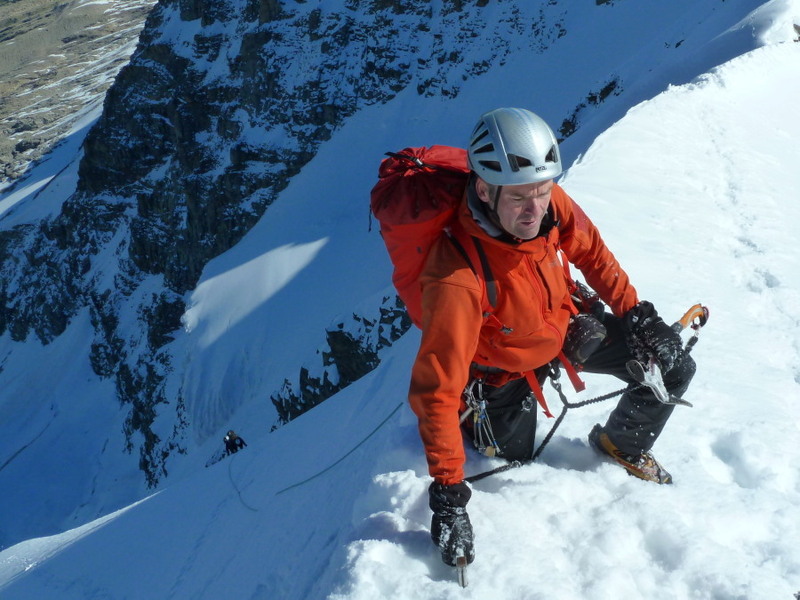 Climb Classic Alpine North Faces with our British Mountain Guides at a 1:1 ratio. An unforgettable experience! Early season is prime time for good conditions with well consolidated spring snow plastered on to the classic Alpine North Faces. 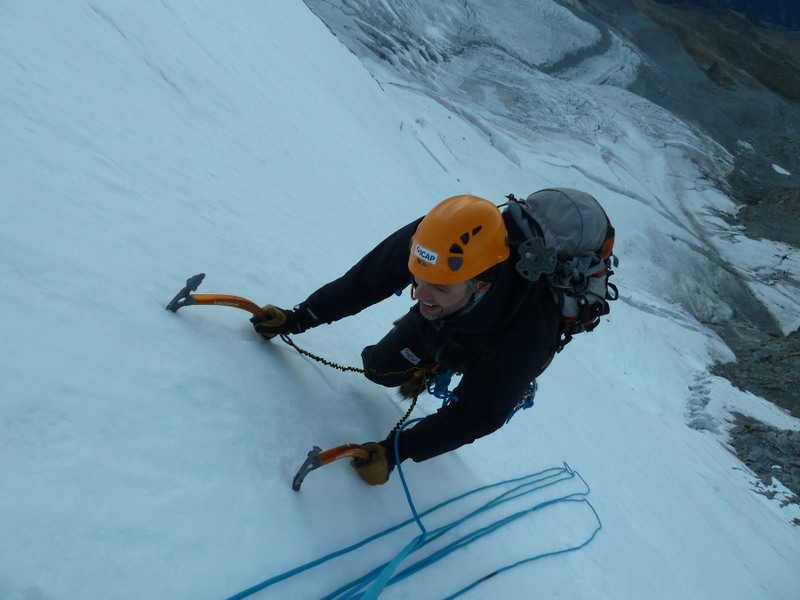 Climbing with crampons and 2 axes, the "fly on the wall" feeling of exposure on a big alpine face is hard to forget! 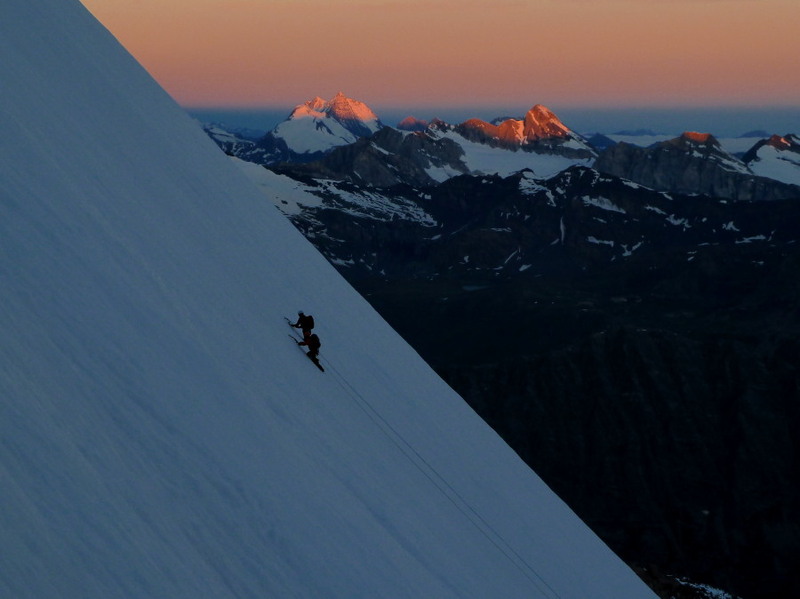 You'll need some previous experience, either in the Alps or Scotland, as well as good fitness. 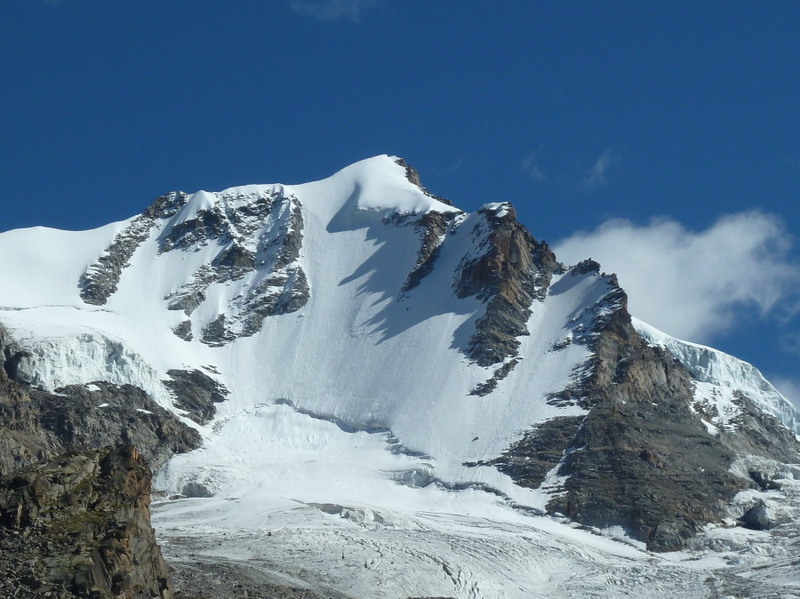 Possible routes include the North faces of: Pigne d'Arolla, Lenzspitz, Breithorn, Gran Paradiso, and many others. Due to the nature of these climbs we schedule this week early and late season to take advantage of colder temperatures. For this reason, mountain accommodation may be in winter rooms in the earliest and latest weeks (no extra sleeping equipment required but you should bring a warm duvet jacket). This week is normally run on a 1:1 guiding ratio making it possible to attempt these harder climbs. If you wish to book as a pair of equal ability we can run the week 2:1 at a reduced cost (note that route choice would be limited by the higher ratio). Please enquire for further details and prices if booking as a climbing pair (info@frostguiding.co.uk). Click here for our Summer Alpine kit list. In addition to this list you should bring (or hire) technical axes. For information on accommodation and what's included in our Guided Alpine North Faces price click here.